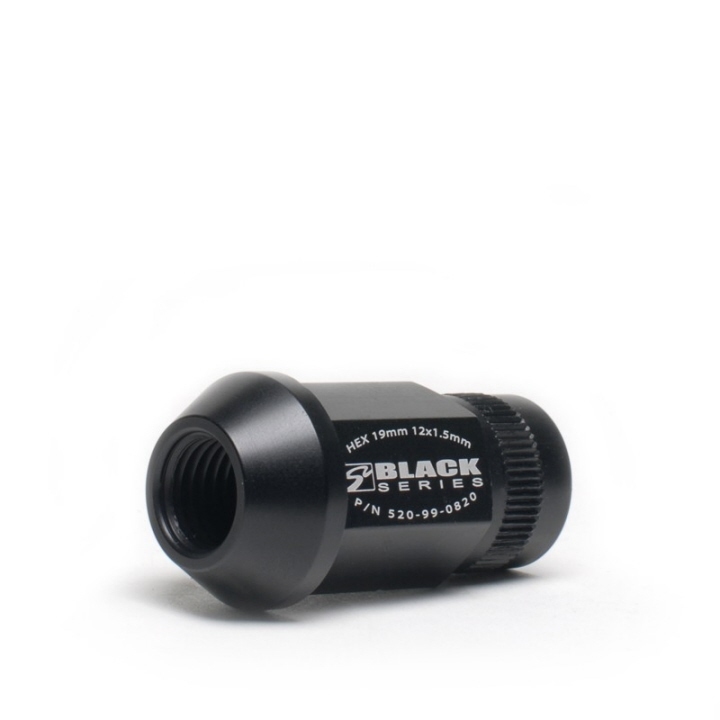 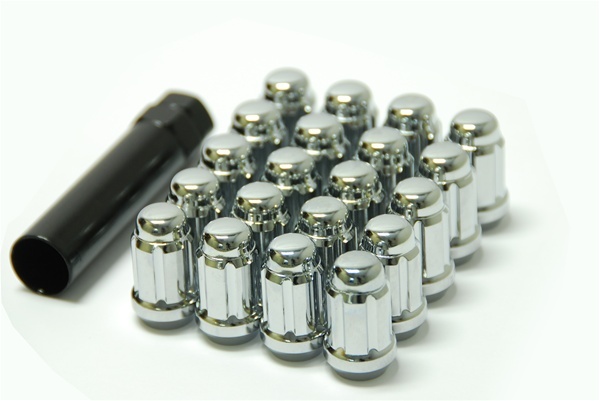 These BLOX Street Series lug nuts are forged from AL7075 aluminum/magnesium alloy for the ultimate in weight savings without any compromise to strength. 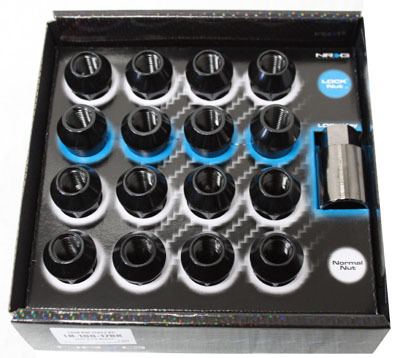 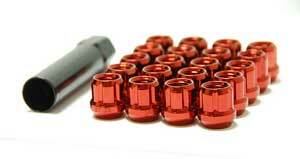 The straight-through design allows Blox extended wheels studs to be used for optimum performance. 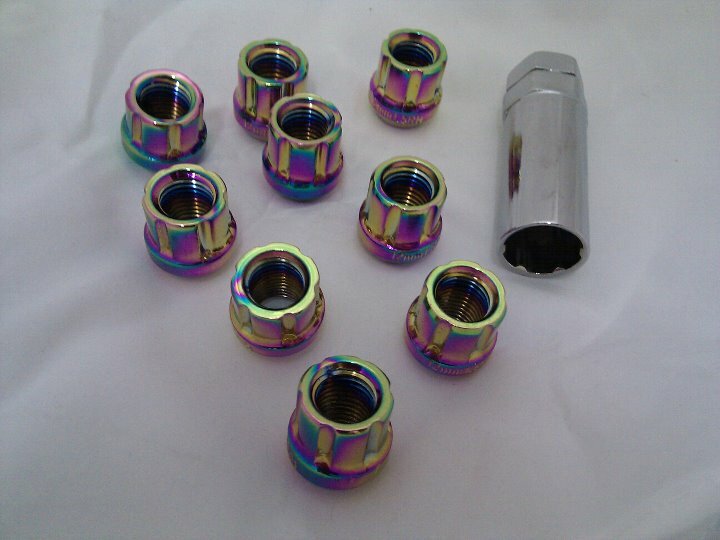 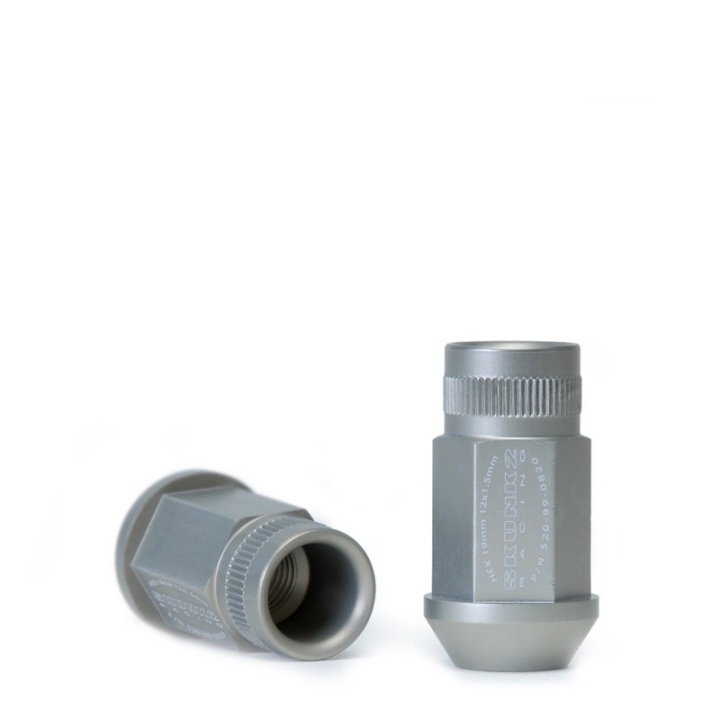 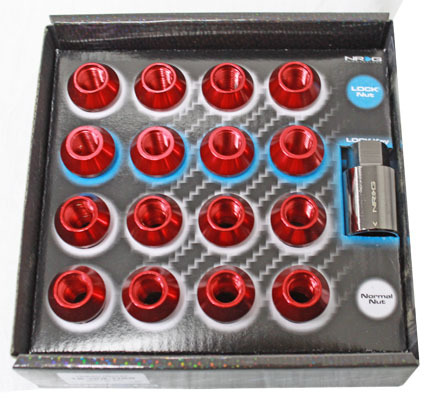 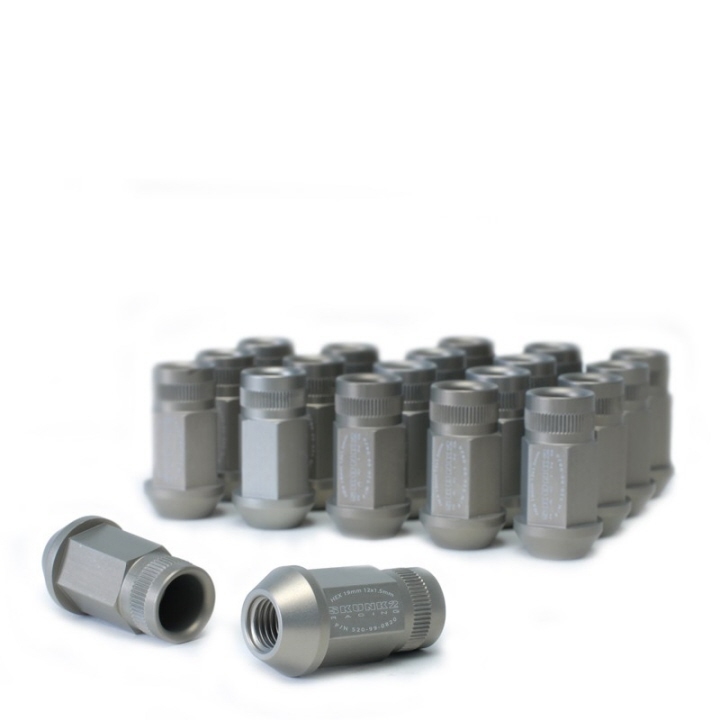 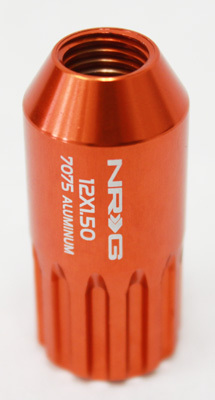 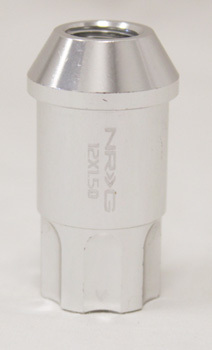 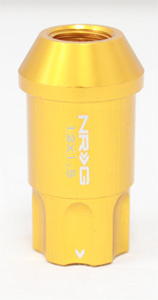 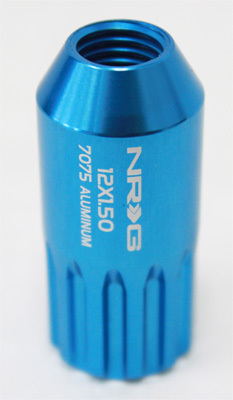 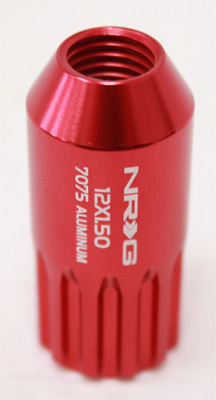 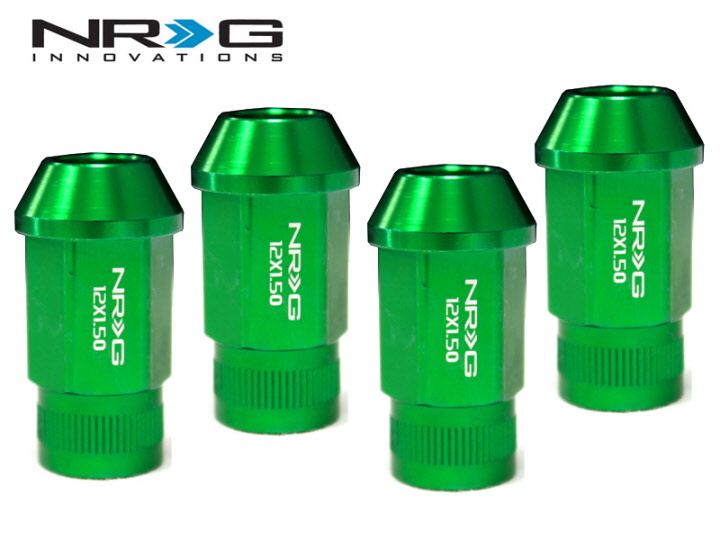 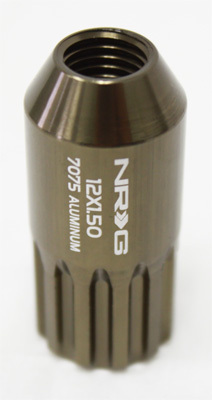 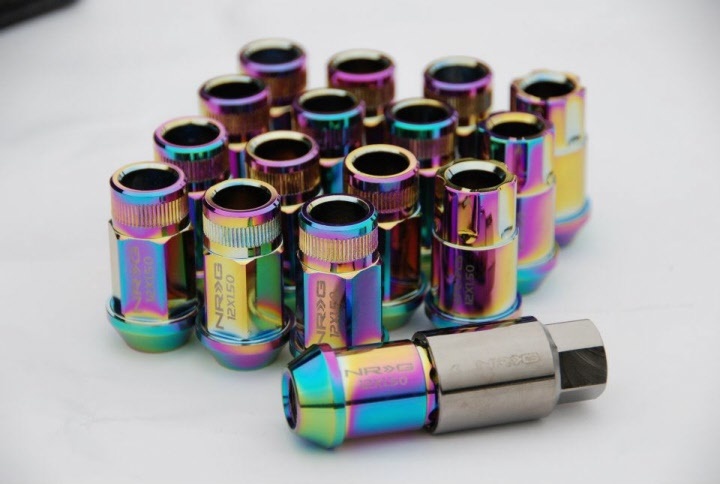 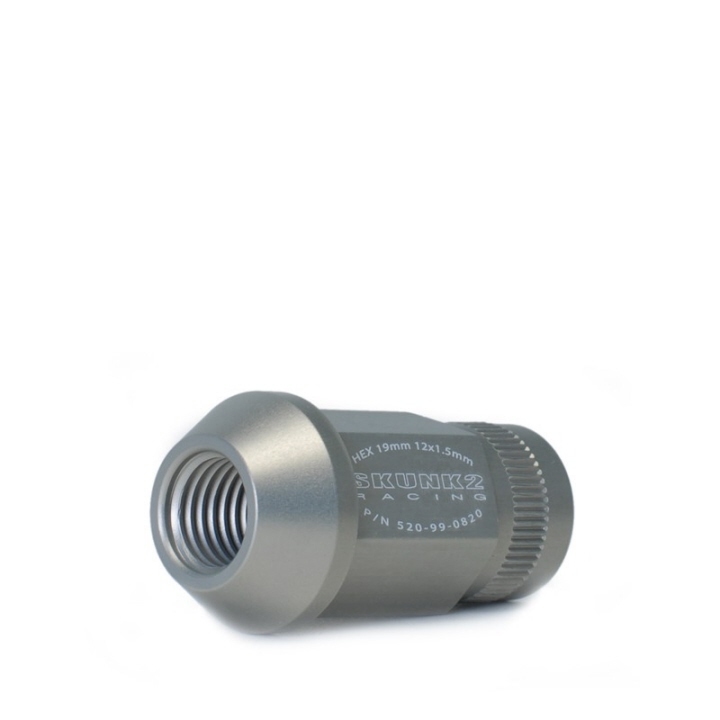 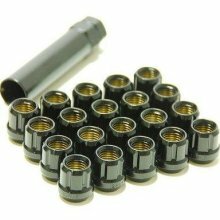 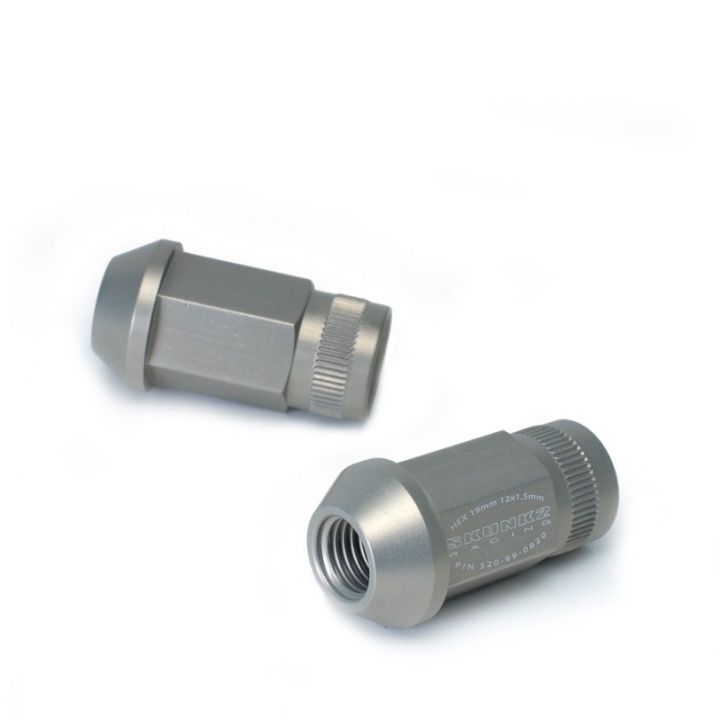 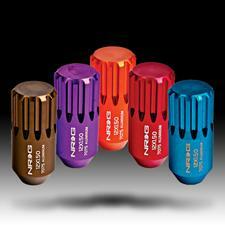 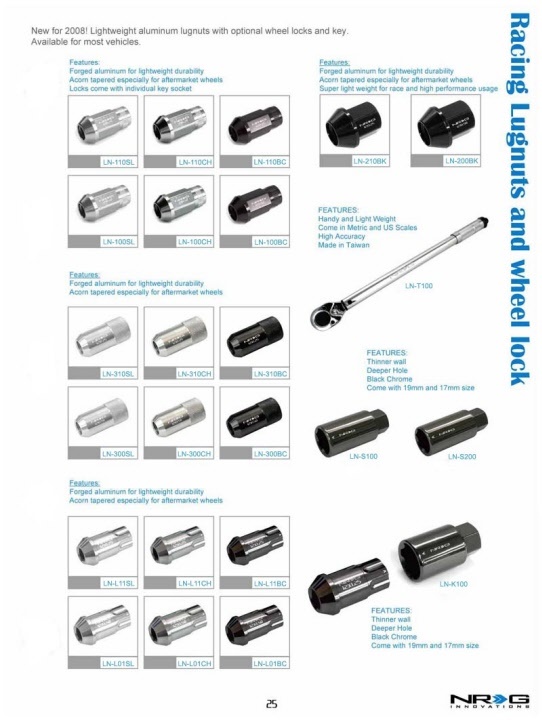 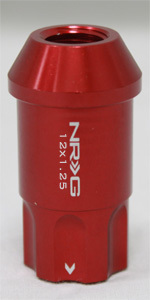 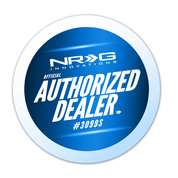 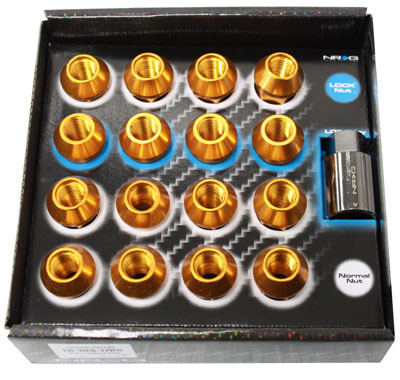 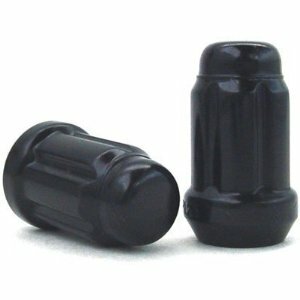 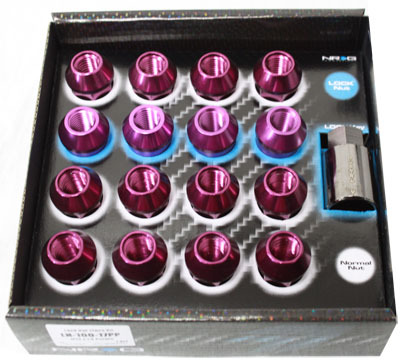 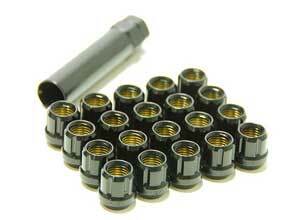 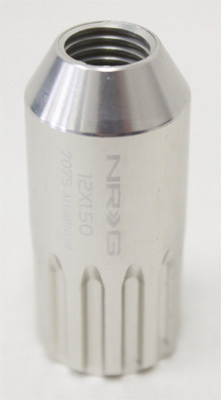 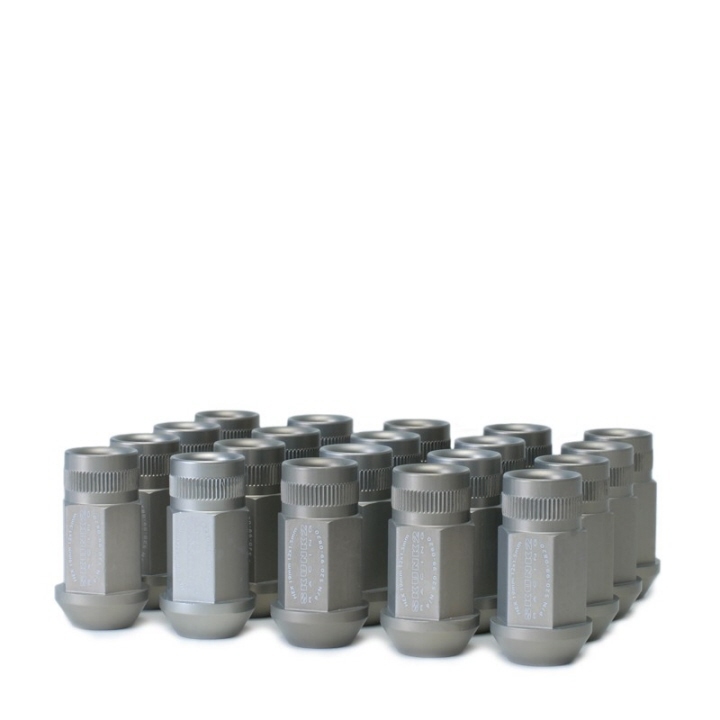 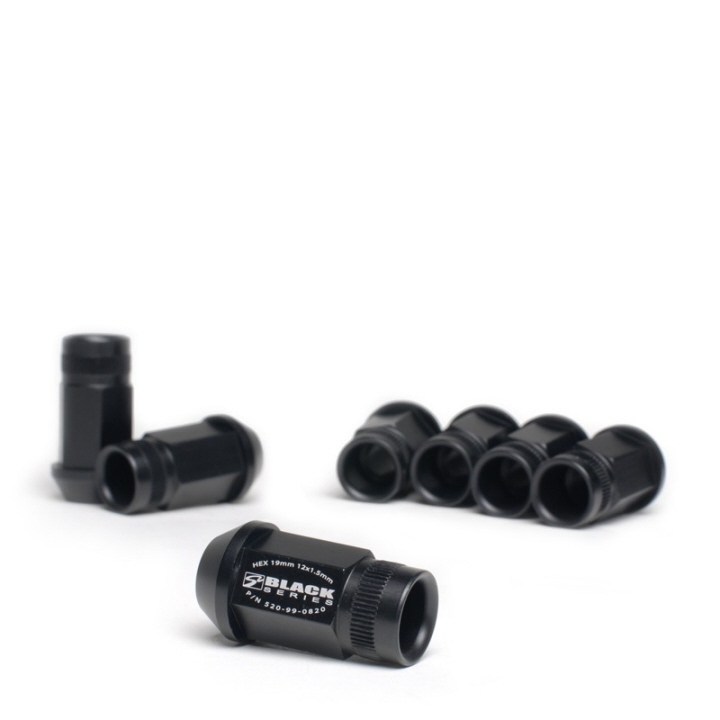 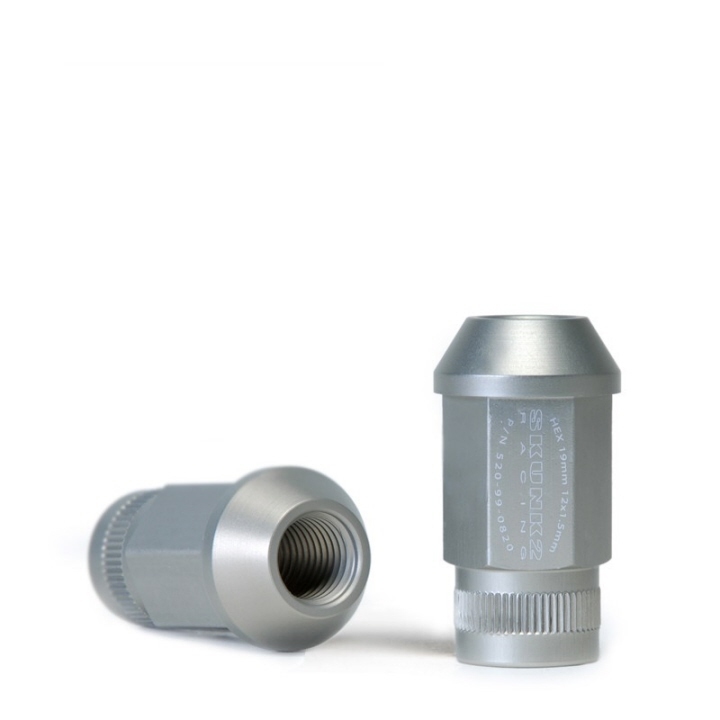 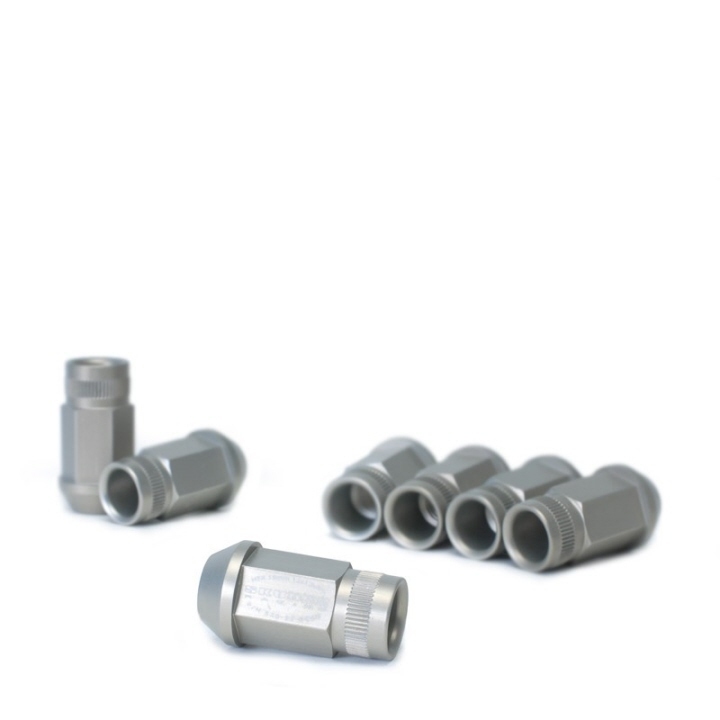 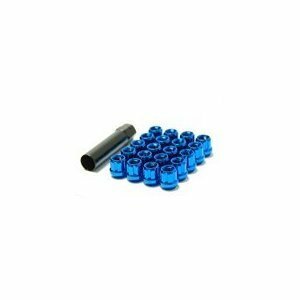 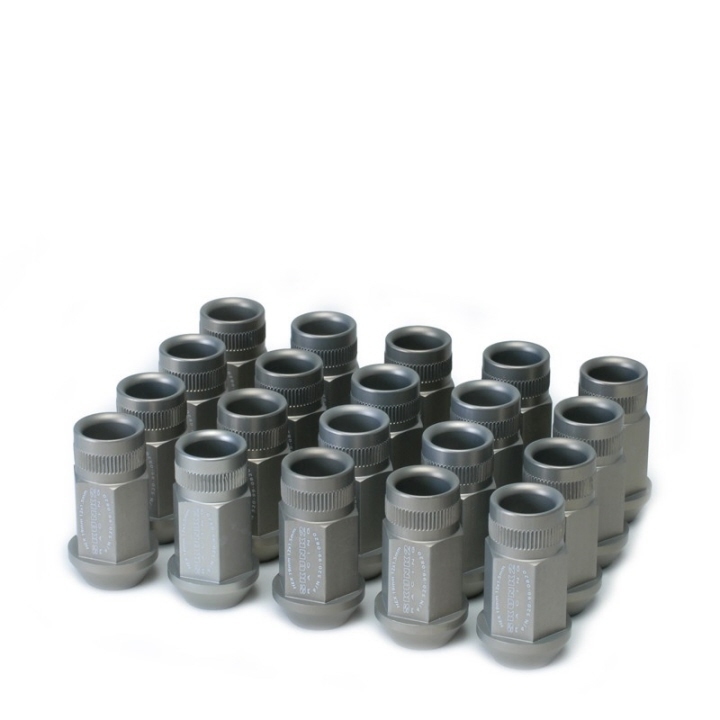 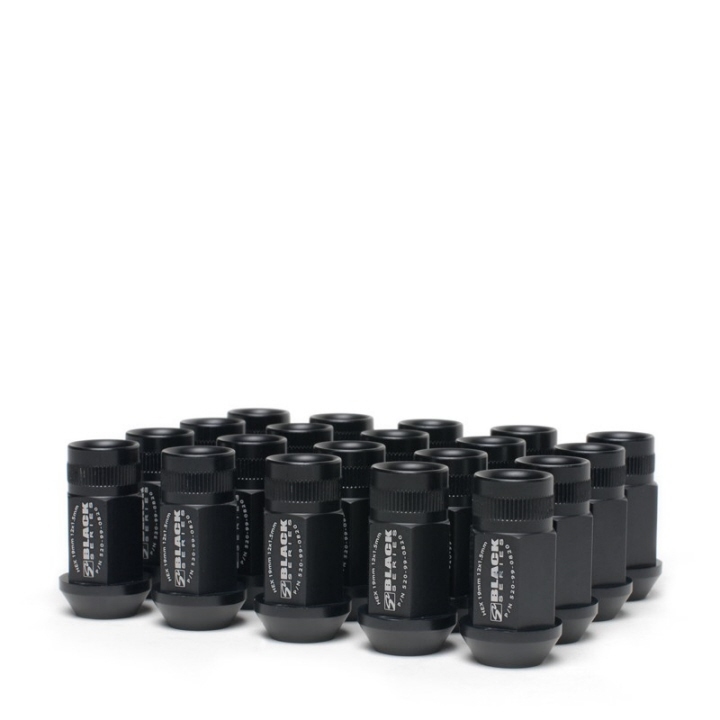 Each lug nut weighs approximately 26.5g and is available in thread pitch sizes of 12 x 1.25mm and 12 x 1.5mm. 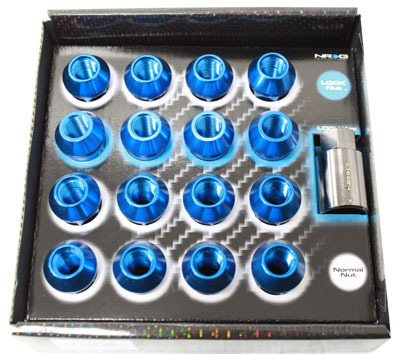 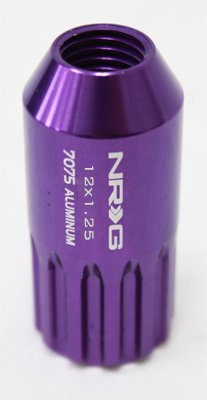 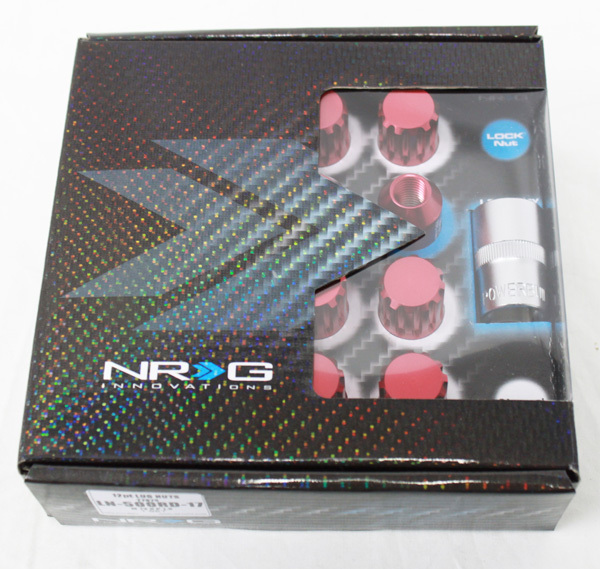 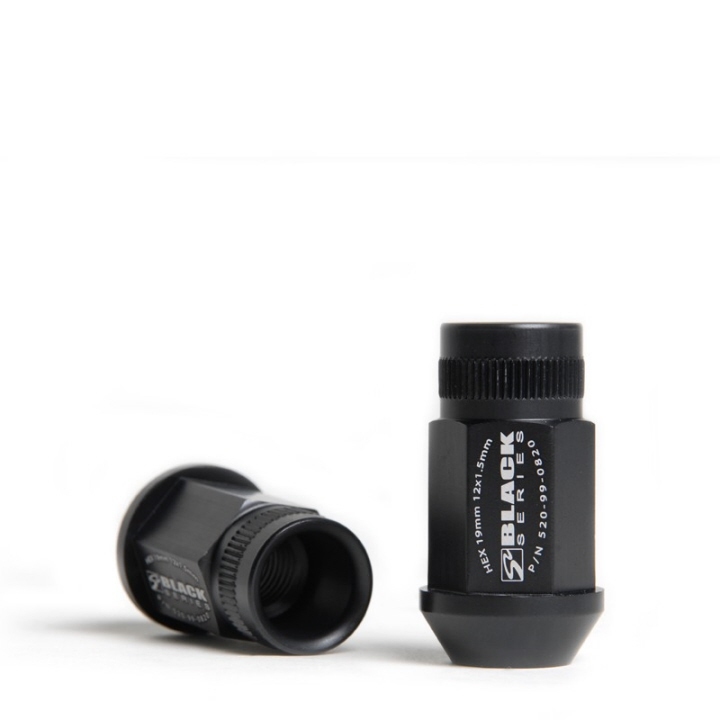 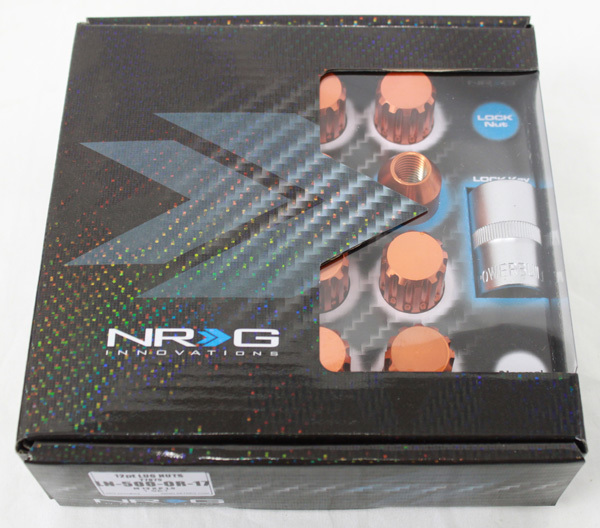 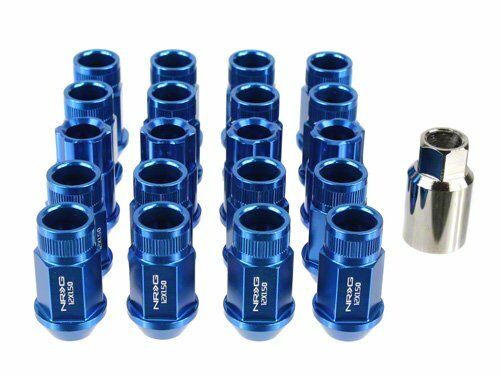 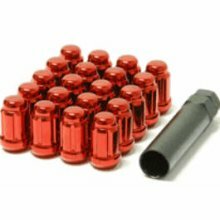 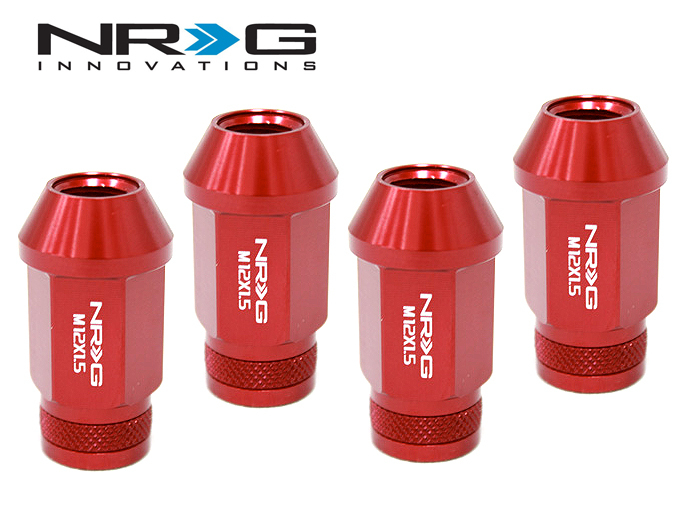 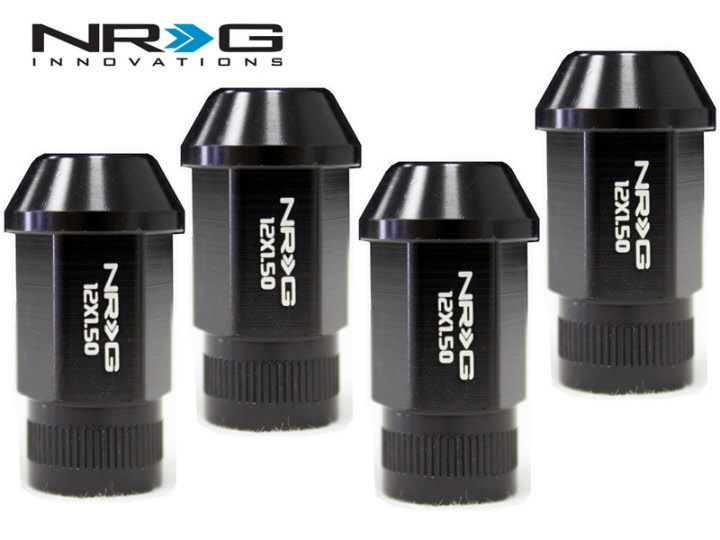 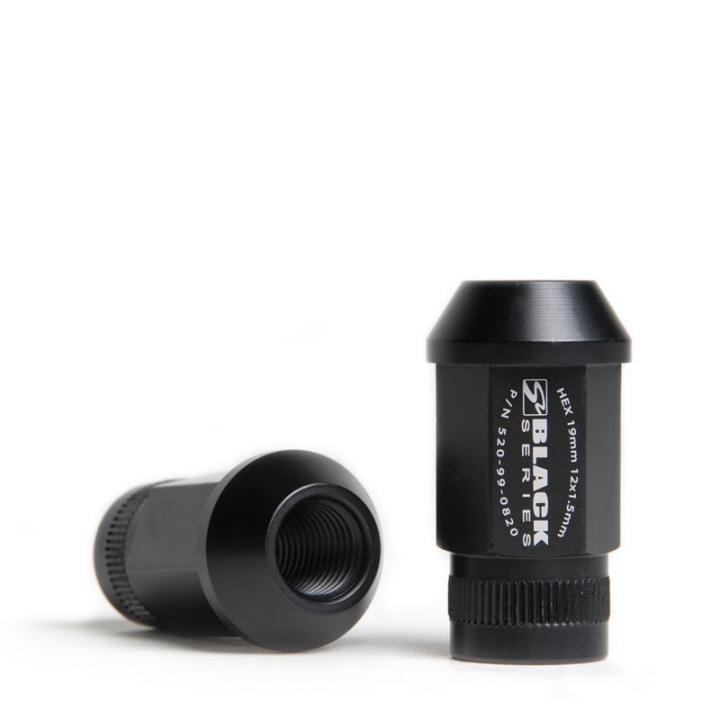 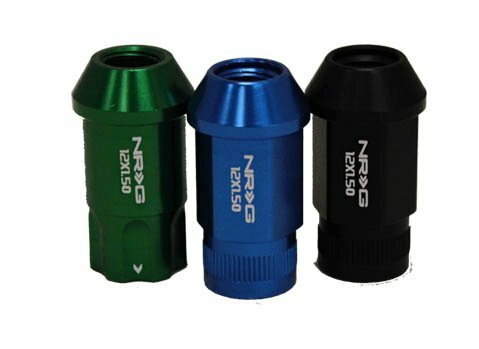 These Street Sries lug nuts are forged from AL7075 aluminum/magnesium alloy for the ultimate in weight savings without any compromise to strength. 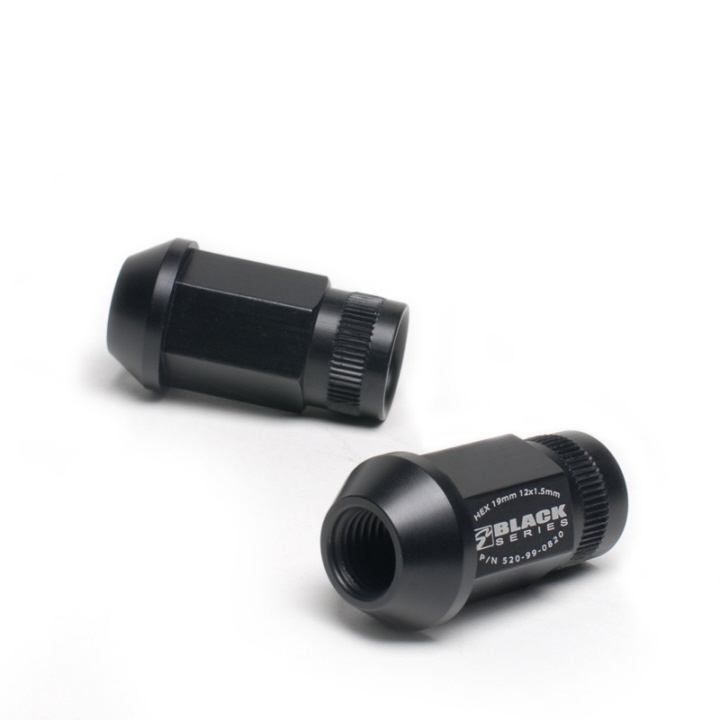 The straight-through design allows Blox extended wheels studs to be used for optimum performance. 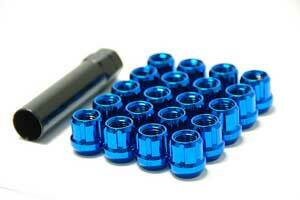 Each lug nut weighs approximately 26.5g and is available in thread pitch sizes of 12 x 1.25mm and 12 x 1.5mm.